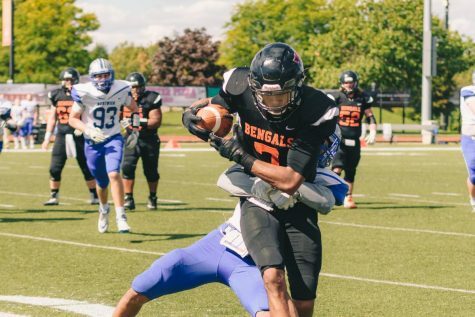 Senior Jamar Rutledge had two touchdowns in Buffalo State's season opening loss to Bridgewater State Saturday. 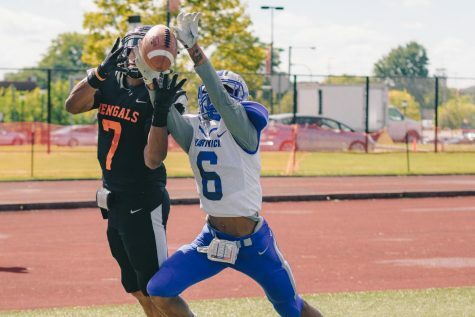 Despite winning the turnover battle by a wide margin, the SUNY Buffalo State Football team lost the war in their first game of 2018. 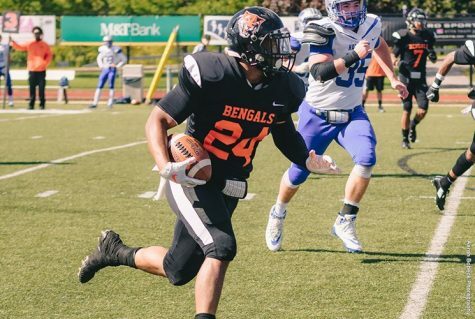 The Bengals opened their 2018 campaign on Saturday against the Bridgewater State University Bears. 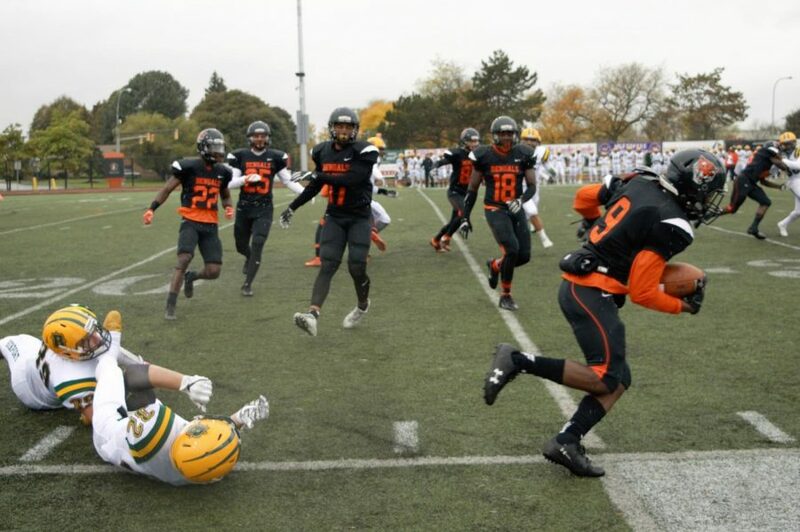 The game came down to the wire, but Buffalo State lost the game 30-29 in the last minute of the game. 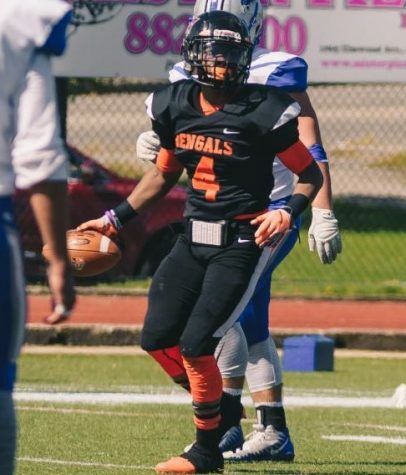 Buffalo State’s defense started fast as senior linebacker Rolando Cercone intercepted a pass on the first drive of the game. The defense continued to lead the way for the Bengals in the game, forcing a total of six turnovers; two interceptions and four fumbles. Later in the first quarter, the Bengals’ offense scored its first touchdown of the season. 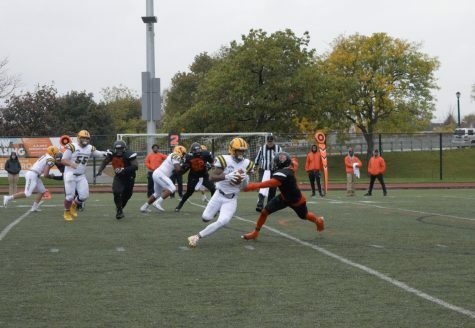 Senior wide receiver Jamar Rutledge caught a 25-yard pass from senior quarterback Kevin Torrillo. 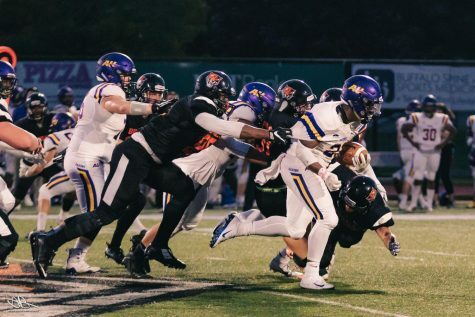 The Torrillo and Rutledge connection was strong in this game, with the pair hooking up for another touchdown later in the game and connecting eight times overall. The Bengals led 16-10 at halftime, but things didn’t start out well in the third quarter when Torrillo threw his second interception of the game. This led to Bears running back Nick Santavicca’s first rushing touchdown of the game which tied the contest at 16. Santavicca ran well all afternoon for the Bears, rushing for 200 yards and scoring two touchdowns. On the next drive, junior wide receiver Jordan Evert caught a 56-yard touchdown pass to give the Bengals a 23-16 lead. The Bears answered with a touchdown on their next drive and tied the game at 23. 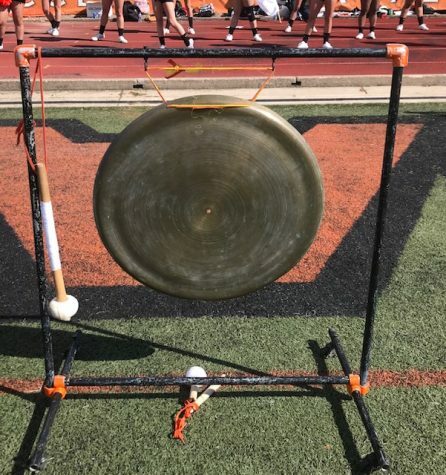 Buffalo State never trailed until 2:26 of the fourth quarter when the Bears scored from 10 yards out, taking the lead 30-23. Buffalo State managed to march down the field and get into scoring range with just 27 seconds left to play. 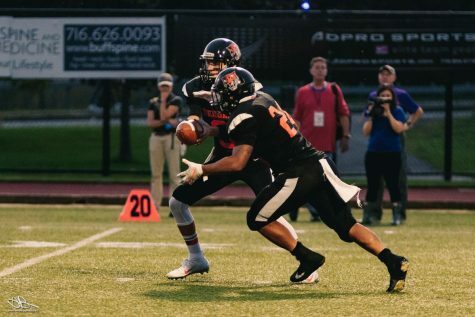 Torrillo lofted a 2-yard pass to wide receiver Jamar Rutledge who was able to come down with the score. The Bengals were just an extra point away from tying the game. Instead of kicking the extra point to tie, the Bengals decided to go for the two-point conversion to win it. Unfortunately for the Bengals, Torrillo’s pass sailed over his intended receiver. Buffalo State’s onside attempt on the ensuing kick failed. 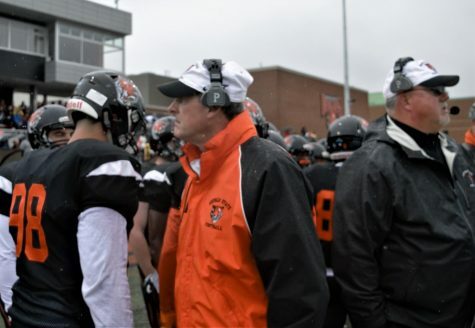 The Bengals will look to avenge this loss when they travel to Adrian College next Saturday, Sept. 8 for a 1 p.m. meeting with the Bulldogs.